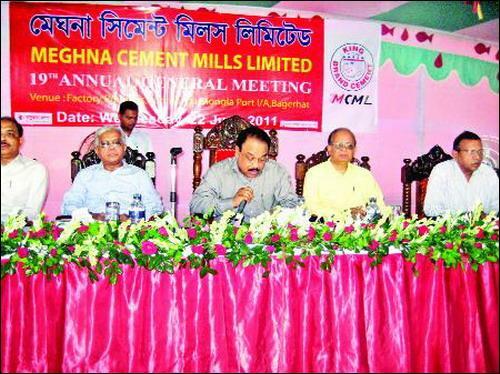 Caption: Annual General Meeting of Meghna Cement Mills Limited was held in Mongla on June 22, 2011. The meeting announced 25 percent cash dividend to its shareholders. The Chief Advisor to the Chairman, BG Mahaboob Morshed Hasan presided over the meeting.